Did you know that about 3.7 million people worldwide died in 2012 from diseases related to ambient air pollution? That is nearly the population of the city of Los Angeles expiring every year from preventable causes. When you combine death-by-smog with deaths related to exposure to dirty indoor air, contaminated land and unsafe water, the grand total of deaths from all pollution sources climbs to almost 9 million deaths each year worldwide. That’s more than 1 in 7 deaths and makes pollution deadlier than malnutrition. This fact deserves to be better known, as there are ready solutions. Inaction is not an option. It’s one of the harsh realities of today. Just as representatives from around the globe began to gather in Sendai, Japan, for an international disaster risk conference, authorities in Vanuatu were issuing evacuation alerts with Cyclone Pam intent on a destructive path towards the Pacific island nation. 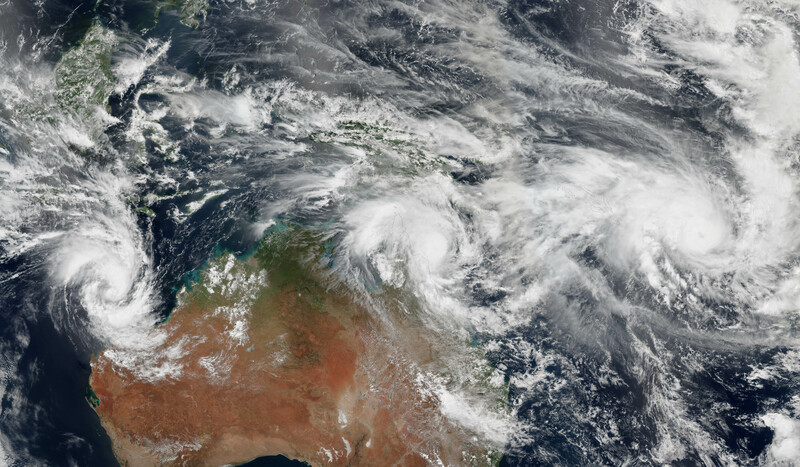 On the eve of the official opening of the World Conference on Disaster Risk Reduction in Sendai, three cyclones – including the ferocious Cyclone Pam – were casting a menacing shadow over the Asia Pacific region. It underscores a simple point. The threats posed by natural disasters are on the rise. People are at the center of all development work: whether we act to prevent and address disasters, protect vulnerable communities, finance projects in infrastructure, education or health, our ultimate goal is always to serve people. Being able to identify, understand and locate beneficiaries as accurately as possible is an essential first step in that process, and the only way to make sure we provide services to those who need it most with maximum impact. Inside the World Bank, the number of people passionate about using spatial data for development speaks to the relevance of spatial datasets in supporting critical decision making. In an effort to use spatial data more strategically, we recently conducted an informal poll among several Bank units and some partner institutions to find out what types of spatial data are most relevant to development professionals. This survey found that the spatial distribution of the population was a key data layer needed by Bank staff. The results of the survey showed that that while national level data are useful, subnational detail on administrative boundaries, trade & transport infrastructure, population distribution and socio-economic data down to the city level are just as critical to the majority of respondents.